The UK pension regulator could claw back 17 mln pounds from bosses of the collapsed outsourcer. That’s peanuts compared to Carillion’s pension deficit, and implies a tortuous legal saga. Still, the group’s chaotic failure and reckless management warrant a hefty deterrent. The Pensions Regulator said on June 25 it is considering ordering former directors of Carillion to hand back their own money to help plug a 587 million pound deficit in the collapsed outsourcing company’s pension fund. The UK regulator said it was considering issuing a “contribution notice” against the former executives which would force them to make a personal contribution. The Department for Work and Pensions launched a separate consultation on June 26 and plans to introduce fines and prison sentences for directors who put pension schemes at risk. Six former Carillion directors, Richard Howson, Richard Adam, Philip Green, Keith Cochrane, Alison Horner and Andrew Dougal received nearly 17 million pounds between 2007 and 2016, according to UK lawmakers. 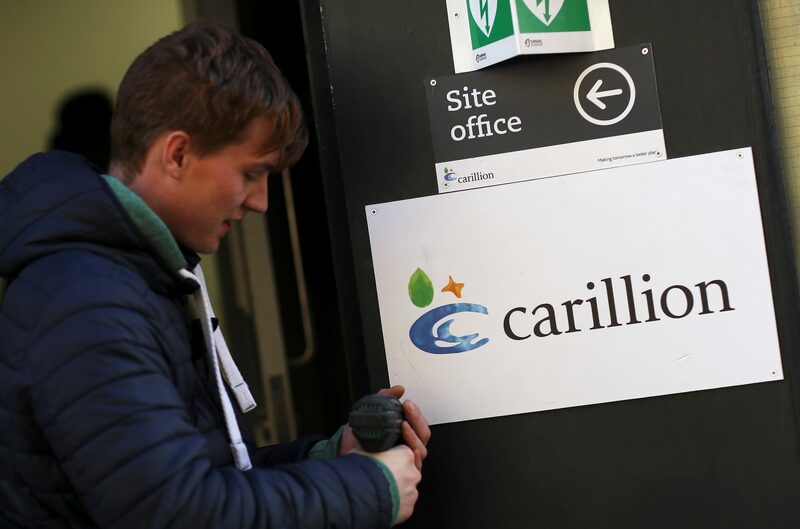 Carillion, a contractor on UK public projects, went into compulsory liquidation on Jan. 15 after banks refused to lend it more money. The company folded with 1 billion pounds of debt and around 2.6 billion pounds of pension liabilities.